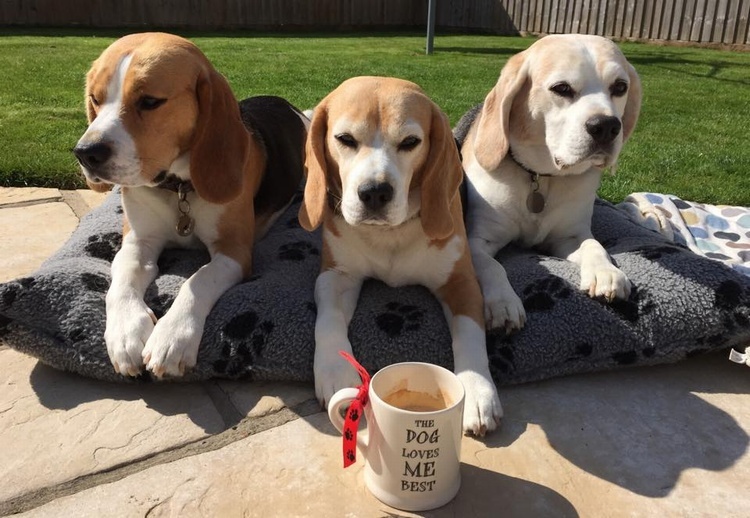 These 3 Beagles made me laugh - Todd the Sod, Teddy the Terror and HRH Princess Sally. They were one of the winners from our Bank Holiday Facebook competition. Todd the Sod isn't a fan of having his photo taken but he did at least win his Mum one of our "The dog loves me best" mugs. Well done Todd!